Enjoy its fresh and smooth flavour. 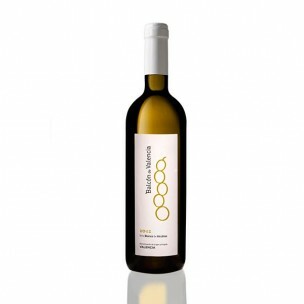 Buy a 6 units box of this young white wine bottled in dark glass. Pale yellow in colour with greenish tones. Aromatic, floral and fruity on the nose and fresh, silky and slightly acidic in the mouth. Free-run juice of white Meseguera grapes. The grapes are collected at the end of September. After passing through the press, the free-run juicethat makes "Balcon de Valencia" unique is extracted. Combine this wine with your seafood, fish and rice dishes and even with cheese boards. Serve between 6° and 8° and those who you are indulging will be delighted.